Mainstream media are continuing two troubling trends in their coverage of climate change, a pair of new reports finds. In 2018, media outlets too often failed to connect extreme weather to climate change, according to an analysis from Public Citizen, a progressive consumer advocacy organization. And researchers at the University of Colorado, Boulder found that when major outlets did cover climate change, their reporting was too focused on President Donald Trump. On the whole, the proportion of [extreme weather] pieces that mentioned climate change was disappointingly low. There was no climate-related form of extreme weather that the media connected to climate change in more than 35 percent of pieces. That high-water mark comes from articles discussing record drought. Extreme heat fared similarly, with 34 percent of pieces mentioning climate change. For hurricanes, the rate was just 7 percent. Public Citizen’s report notes that coverage of climate change's role in extreme weather was better in 2018 than in 2017, but many outlets continued to miss the mark. Coverage of wildfires also improved slightly in 2018, according to Public Citizen’s report. Top newspapers mentioned climate change in 29 percent of wildfire stories last year, compared to 19 percent in 2017. The online news outlets mentioned climate change in 28 percent of wildfire stories in 2018, up from 22 in 2017. And television networks connected wildfires to climate change in 21 percent of their segments last year, compared to 8 percent in 2017. 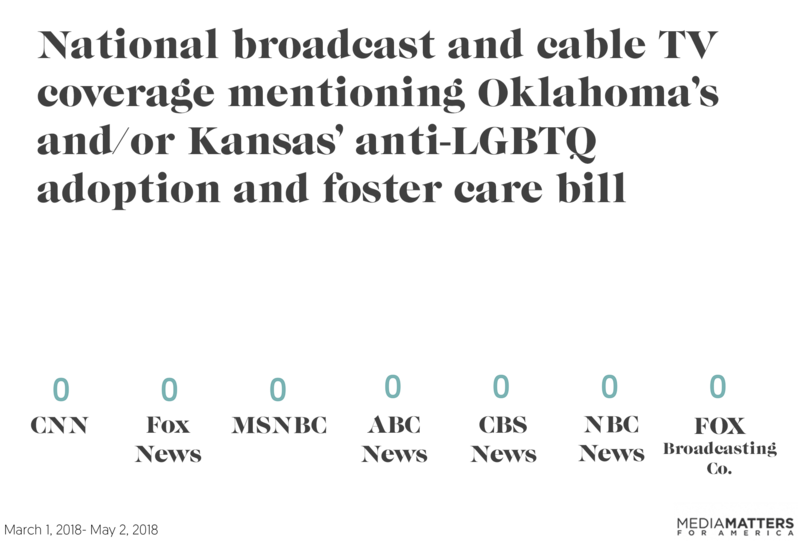 Again, Media Matters documented even worse performance from broadcast TV news in connecting climate change to wildfires that happened last summer and in early November. Similar patterns emerged in reporting on other extreme weather events such as heavy rainfall, flooding, and hurricanes: There was slight improvement, but as Public Citizen sums it up, "major news outlets fell short." 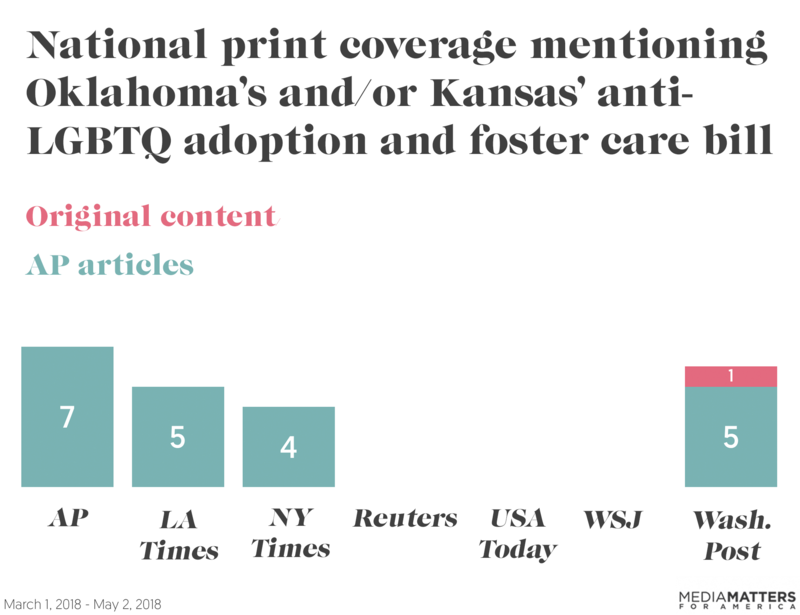 Researchers at CU-Boulder's International Collective on Environment, Culture & Politics documented a different problem with climate coverage in the U.S.: an obsessive focus on Trump. 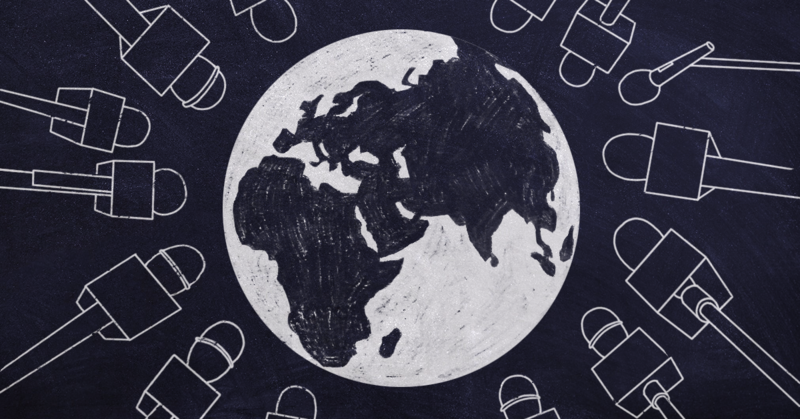 The collective's Media and Climate Change Observatory (MeCCO), which tracks media coverage in dozens of countries, produced a report summarizing its findings from 2018. In the U.S., MeCCO monitored five major newspapers and six major TV networks. 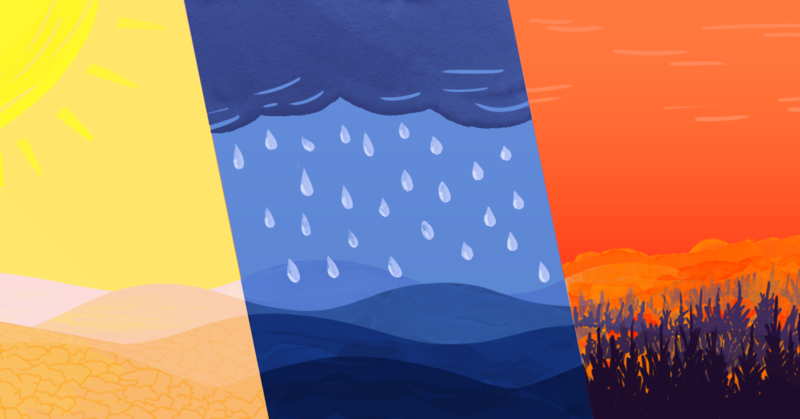 There were some bright spots in climate coverage in 2018. Public Citizen highlighted an editorial collaboration in Florida called The Invading Sea -- involving the Miami Herald, The Palm Beach Post, the Sun-Sentinel, and public radio station WLRN -- that aims to increase awareness of sea-level rise and galvanize action to address it. 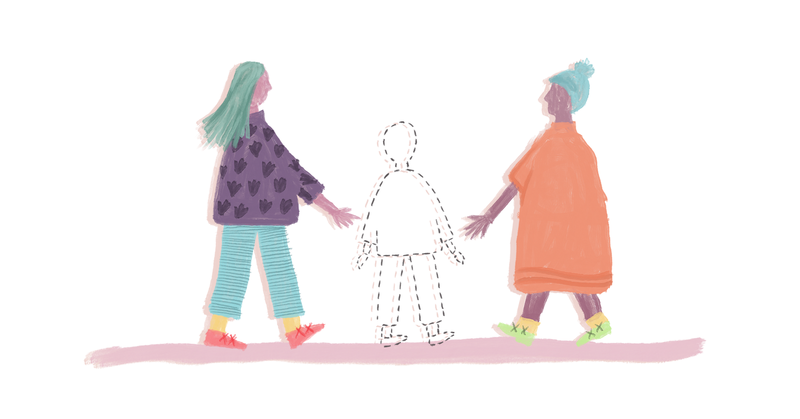 The Public Citizen report also recognized great reporting by The New York Times, The Washington Post, and the Associated Press. Despite these positive developments, the two reports show that news outlets need to improve their climate journalism in 2019. They should stop chasing Trump's every tweet and instead provide sustained, substantive reporting that explains the nature of the climate challenge, connects extreme weather events to climate research, and amplifies solutions to climate-related problems. 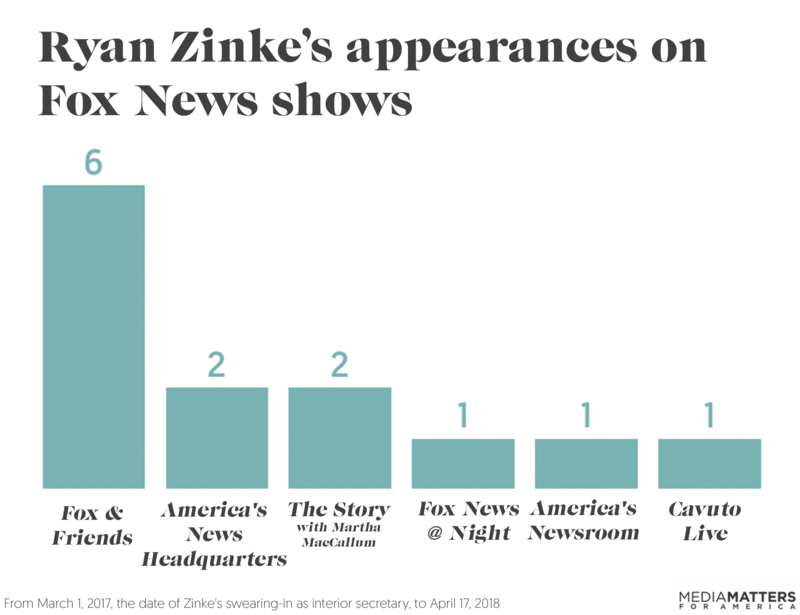 Does Ryan Zinke favor the Fox News show for the same reason? Former Environmental Protection Agency chief Scott Pruitt had a cozy relationship with Fox News and with President Donald Trump's favorite show on the network, Fox & Friends, as Media Matters documented over the last year. Now, thanks to The Daily Beast, we learn that the relationship was even cozier than we thought. 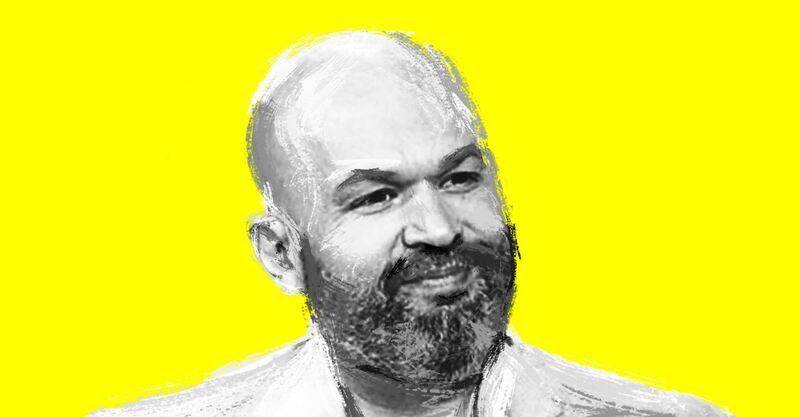 In a November 27 article, Daily Beast reporter Maxwell Tani broke the news that Pruitt and his team got to choose the topics that would be addressed during his appearances on Fox & Friends, were fed questions in advance, and, in at least one instance, got to approve part of the show's script. 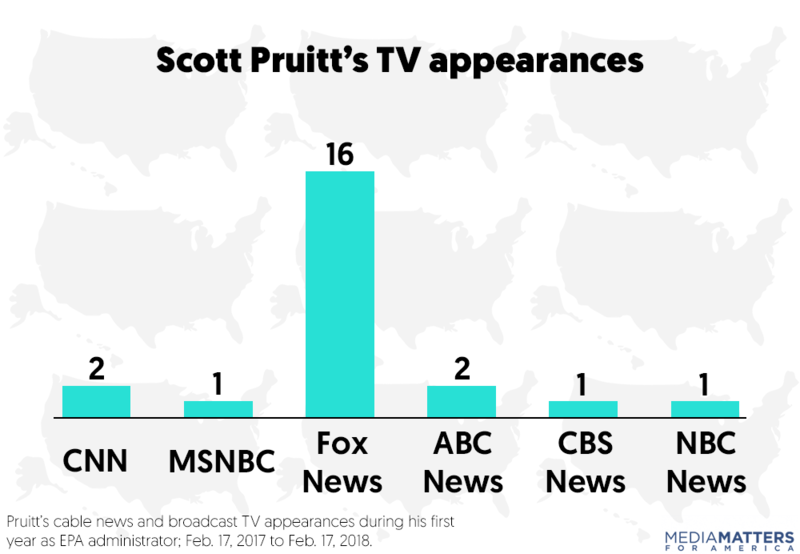 Now it makes all the more sense that Pruitt heavily favored Fox News over other networks. A Media Matters analysis of his first year in office found that he appeared on Fox more than twice as often as he appeared on other major cable and broadcast networks combined. 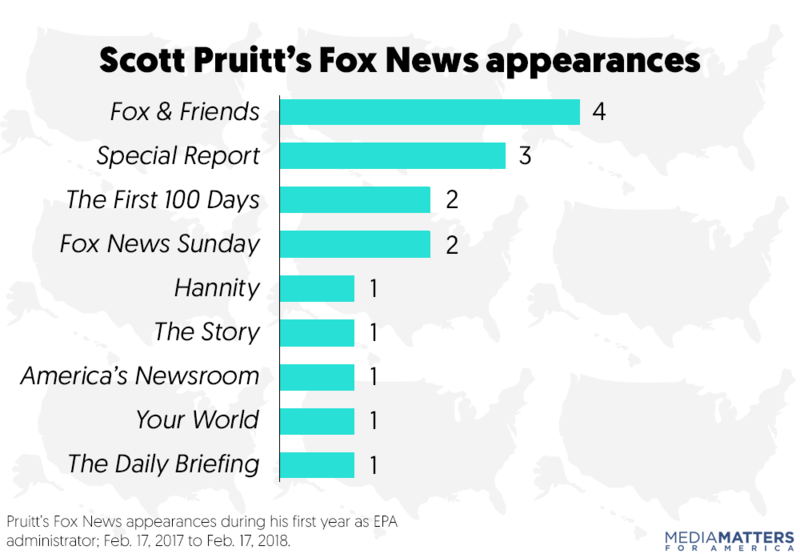 Fox & Friends also spent very little time discussing Pruitt's many scandals, even while other news outlets were covering them heavily. Other members of Trump's cabinet and White House share his affinity for Fox News, including Interior Secretary Ryan Zinke, another key figure executing Trump's agenda of dismantling environmental protections. 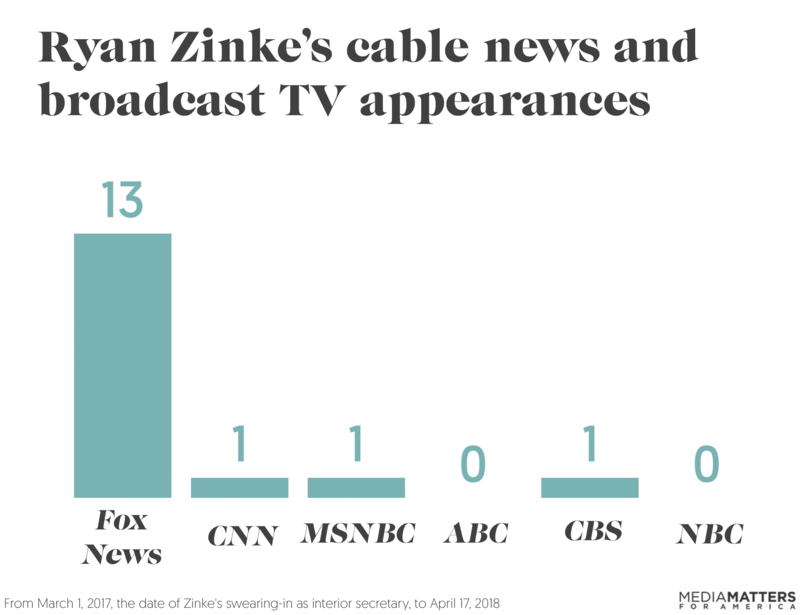 Zinke has actually favored Fox News more heavily than Pruitt did, especially after news reports began coming out about Zinke's own ethical scandals. Politico reported earlier this month that Zinke has even been trying to get himself a gig on Fox News. If Fox & Friends fed Pruitt questions in advance and let him set the terms for his interviews, the show's producers could be doing the same for other Trump appointees and surrogates. Fox News told The Daily Beast, “This is not standard practice whatsoever and the matter is being addressed internally with those involved.” And Fox later said that it was disciplining employees over the incidents, but the network would not say who was being disciplined or what that discipline involved, The Associated Press reported. As Media Matters' John Whitehouse points out, “there is absolutely no reason to trust any internal investigation or disciplinary process at Fox News.” Past instances of journalistic malpractice at Fox have gone unpunished, and questionable practices have gone unchanged. 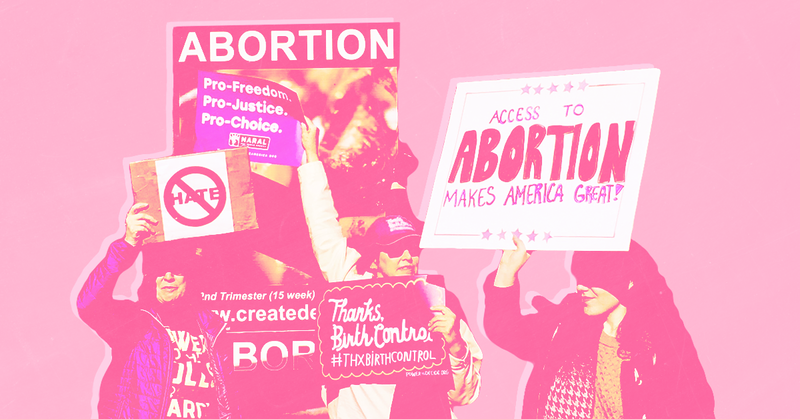 Right-wing media claim that letting states regulate abortion isn’t a threat for reproductive rights -- it is. 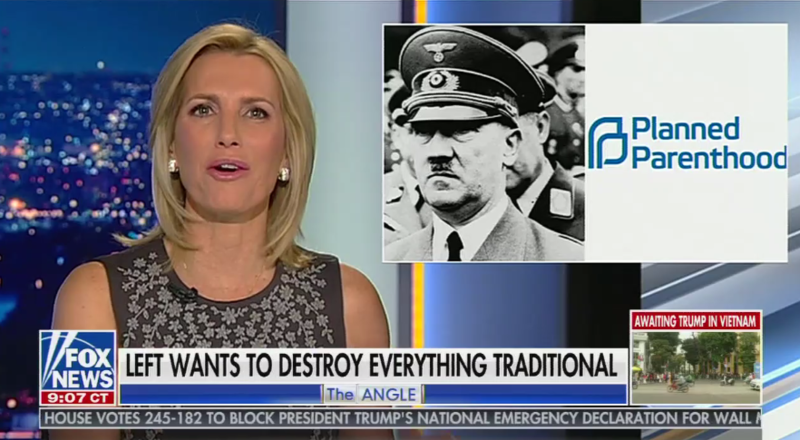 Following President Donald Trump’s nomination of Brett Kavanaugh to the Supreme Court, right-wing media downplayed the impact that Kavanaugh -- who has a stamp of approval from the conservative Federalist Society -- would have on abortion rights in the United States. 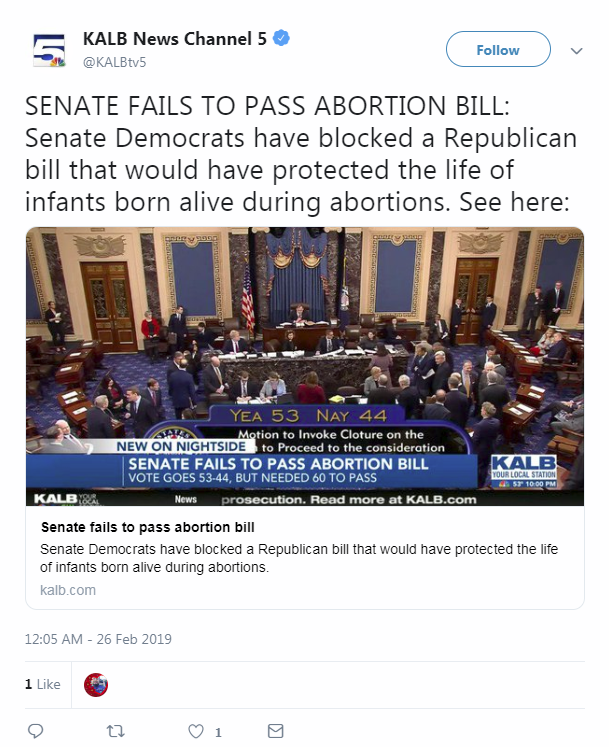 Some media outlets and figures claimed that if Roe v. Wade was overturned, it would merely return abortion regulation “to the states” and have a minimal impact on abortion rights. 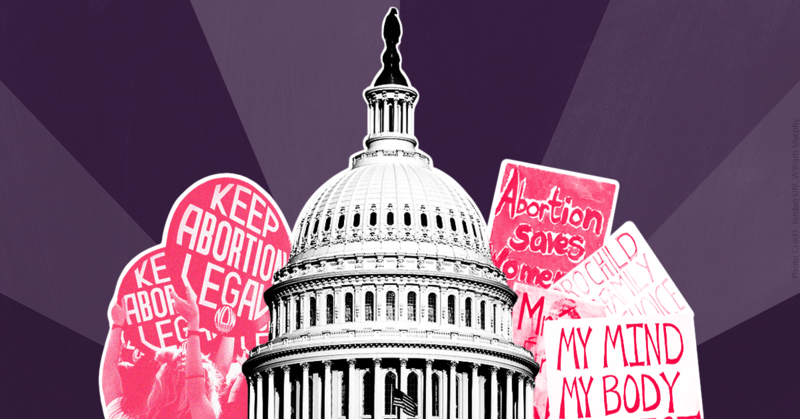 Here’s a state-by-state guide to what a world without Roe would look like, as reported in the media, if and when Kavanaugh casts the deciding vote. This post was updated on November 6, 2018, to incorporate additional news reports. July 26, 2017, Anchorage Daily News: Zinke threatened to pull support for projects in Alaska after Sen. Lisa Murkowski voted “no” on Obamacare repeal. On July 26, Zinke called Alaska’s two senators, Lisa Murkowski (R) and Dan Sullivan (R), to inform them that Murkowski’s vote against repealing the Affordable Care Act jeopardized administration support for projects in Alaska, including expanding oil drilling. Sullivan called Zinke’s message “troubling,” and Murkowski told E&E News, “It was a difficult call.” The DOI’s inspector general opened an investigation into the incident, then dropped it in late August after the senators refused to discuss it with investigators. The Government Accountability Office also opened an investigation, but then dropped it in June 2018 because DOI did not cooperate, Politico reported. "Interior did not provide us with any information on the substance of the telephone calls. 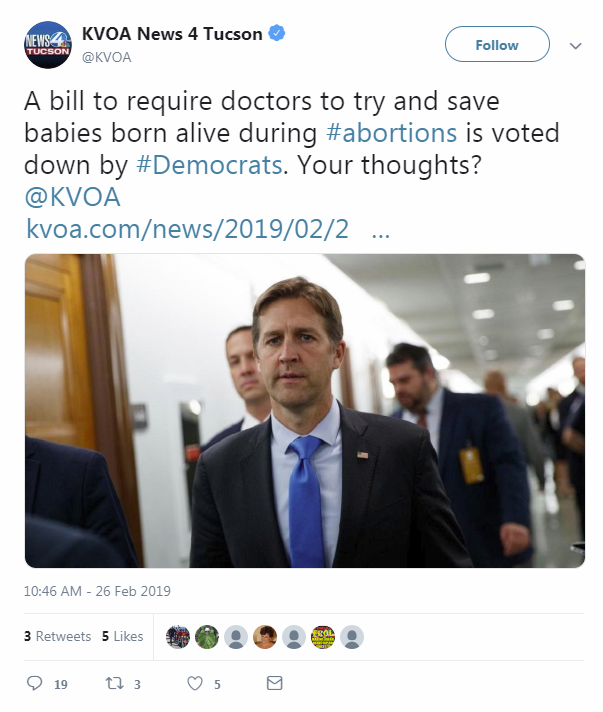 In light of this, we lack the requisite facts on which to base a legal opinion," Thomas Armstrong, GAO's general counsel, wrote to two House Democrats who requested the investiation last year. October 5, 2017, Politico: Zinke’s participation in a Republican fundraiser in the Virgin Islands raised ethics concerns. During what DOI labeled an official trip to the U.S. Virgin Islands, Zinke attended a fundraiser for the Virgin Islands Republican Party in March 2017. Donors paid up to $5,000 per couple for a picture with him. After concerns were raised, the Virgin Islands Republican Party reimbursed taxpayers for the trip. November 20, 2017, Politico: Zinke’s wife used Interior staff and resources to coordinate her travel with her husband’s. Lola Zinke relied on DOI staff to ensure her travel arrangements allowed her to accompany the interior secretary during some of his official events and trips, including ones to California, Alaska, Norway, and Greenland. “While the department says Lola Zinke paid her own way, the records show Interior used staff time to coordinate some of her activities while traveling with her husband,” Politico reported. One ethics expert called that “an ethically gray area.” Some ethics watchdogs are also concerned that Lola Zinke is using her access to high-level events to further her own political career; until recently, she served as campaign chair for a Republican Senate candidate, and she worked on the Trump campaign and transition teams. The DOI’s inspector general tried to investigate whether these actions and other travel arrangements by Ryan Zinke constituted an abuse or misuse of government resources, but the investigation was stymied “by absent or incomplete documentation for several pertinent trips and a review process that failed to include proper documentation and accountability,” according to a memo released on November 15. January 22, 2018, HuffPost: Zinke failed to disclose his shares in a firearms company and signed orders that could have benefitted the firearms industry. As nominee for interior secretary, Zinke neglected to inform the Office of Government Ethics that he retained 1,000 shares in PROOF Research, a rifle and weapons-parts manufacturer founded in Zinke’s hometown. Cabinet appointees are required to disclose all assets worth $1,000 or more. Although there is some dispute about the value of Zinke’s shares, HuffPost notes that Zinke’s long relationship with the company may have resulted in the company getting special access at Interior. Zinke provided consulting services to PROOF from 2011 to 2012. As interior secretary, he met with PROOF CEO Larry Murphy and a company lobbyist about a month after he was confirmed. Zinke also enacted policy changes -- such as rescinding the ban on lead ammunition and expanding hunting access at wildlife refuges -- that could benefit the firearms industry. February 1, 2018, Politico: Interior appeared to cave to pressure from MGM to stonewall a casino proposal backed by two Native American tribes. The Mohegan and Mashantucket Pequot tribes received indications from Interior officials in May 2017 that the department would clear the way for the tribes to build a casino in Connecticut, about 12 miles from MGM Resorts International’s nearly $1 billion casino complex in Massachusetts. But MGM launched an aggressive lobbying campaign to convince Interior’s political appointees to change course, including outreach to Zinke via multiple meetings and phone calls with two Nevada Republican lawmakers closely allied with MGM. MGM lobbyists were invited by Zinke for a social visit two weeks before the agency was to decide on the tribes’ request. MGM lobbyists also met with Deputy Interior Secretary David Bernhardt, whose former firm also lobbies for MGM. Bernhardt signed an ethics agreement barring him from “participating in matters involving his former employer,” according to ThinkProgress. On September 15, DOI informed the tribes that it would delay its decision, even though federal law requires it to decide yes or no within 45 days. Records obtained by Politico show that “career staffers were circulating what they labeled ‘approval’ letters just 48 hours before their political bosses reversed course and refused to either OK or reject the tribes’ application.” The DOI’s inspector general has opened an investigation into the incident. February 21, 2018, Mother Jones: Scientists resigned in protest after their agency violated ethical guidelines to give Zinke sensitive oil and gas research ahead of its public release. The head of the U.S. Geological Survey’s energy and minerals program, Murray Hitzman, resigned in protest on Dec. 17, 2017, after his agency bowed to pressure to provide Zinke with sensitive data about oil and gas deposits in Alaska before it was released publicly. The deputy associate director of the energy and minerals program also left the agency in part over pressure to violate ethical guidelines. Although DOI asserted its authority to see any scientific research the department produces, “numerous current and former Interior officials, however, say the department’s position raises serious ethical issues—particularly when it comes to energy and mineral assessments, which contain valuable economic data that have the potential to move markets,” Mother Jones reported. Rep. Betty McCollum (D-MN), the ranking member of the House Interior, Environment, and Related Agencies Subcommittee, asked DOI’s inspector general to investigate whether department officials committed any ethical violations in requesting the data. March 9, 2018, AP: Interior planned to spend nearly $139,000 to upgrade Zinke’s office doors. Interior officials approved a contract to renovate “three sets of double doors in the secretary’s office, including two doors that open onto a corner balcony with a spectacular view of the Washington Monument and the National Mall,” The Associated Press reported. Though Zinke scoffed at questions about the excessive price of the renovations during a Senate hearing on March 13, two days later he told the House Committee on Natural Resources that he negotiated the price down to $75,000. Despite this, House Oversight Chairman Trey Gowdy (R-SC) sent Zinke a letter on March 22 asking for a briefing “on the need to replace the doors” and asking for “details on the acquisition process, bidding and receipts,” according to Reuters. March 11, 2018, USA Today: Zinke’s trip to Pennsylvania to announce $56 million in grants during a close campaign may have violated the Hatch Act. Toward the end of a tight campaign for Pennsylvania’s 18th congressional district between Democrat Conor Lamb and Republican Rick Saccone, Zinke went to nearby East Bethlehem to announce $56 million in grants to clean up abandoned mining sites in the area. The entire event “had the feel of a hastily arranged news conference/town hall meeting/political opportunity,” according to the local Observer-Reporter. Saccone was among the politicians present, while his challenger did not attend. The U.S. Office of Special Counsel is weighing a request to investigate whether Zinke’s trip was designed to benefit Saccone politically. March 15, 2018, AP: Zinke stacks wildlife-trade advisory board with trophy hunters. Zinke appointed trophy hunters, including some with direct ties to the Trump family, to the International Wildlife Conservation Council, an advisory board tasked with rewriting federal rules to allow the importation of body parts from slain African elephants, lions, and rhinos. The Associated Press reported, “A coalition of more than 20 environmental and animal welfare groups objected that the one-sided makeup of the council could violate the Federal Advisory Committee Act, which requires government boards to be balanced in terms of points of view and not improperly influenced by special interests.” Most board members belong to hunting clubs or the National Rifle Association (NRA), and one member co-owns a private hunting reserve with Donald Trump Jr. and Eric Trump. The Trump administration officially lifted a ban on importing elephant parts from Zimbabwe and Zambia on March 1. March 21, 2018, Politico: Zinke had a security detail during his two-week vacation in Greece and Turkey. Ryan and Lola Zinke’s two-week vacation in Greece and Turkey to celebrate their 25-year wedding anniversary also included a security detail, according to records obtained by Politico. Besides these bare facts, the public still does not know important details about this arrangement including “exactly how many security personnel accompanied the couple, who paid for them, how much they cost or whether they traveled with Zinke and his wife, Lola, for the entire trip,” Politico reported. March 26, 2018, Wash. Post: Zinke filled a new outdoor recreation advisory panel with members who could benefit from DOI decisions. At the urging of industry representatives, Zinke established the “Made in America” Outdoor Recreation Advisory Committee last November and appointed “officials representing companies with National Park Service contracts, such as those in the hospitality sector, as well as those from the manufacturing, fishing, boating and all-terrain-vehicle industries,” according to The Washington Post, which obtained records about the committee via the Freedom of Information Act (FOIA). Two of Zinke’s nominees to the panel were flagged by Interior staffers as having potential conflicts of interest because their companies hold some of the National Park Service’s largest concessions contracts, but they were appointed anyway. March 27, 2018, Politico: Florida’s offshore drilling exemption may have been intended to benefit Gov. Rick Scott’s Senate campaign. On January 4, 2018, Zinke announced a controversial proposal to allow offshore drilling in many new coastal areas, including off the coast of Florida. Five days later, Zinke exempted Florida from the expanded drilling plan after a supposedly spur-of-the-moment encounter in the Tallahassee airport with Florida Gov. Rick Scott. But records reviewed by Politico in March “showed that top officials from the offices of both Scott and the Interior secretary were in regular contact for several days leading up to the sudden announcement, contradicting the supposed spontaneous event that portrayed Scott as protecting Florida’s environment.” According to The Washington Post, “The whole episode seems to have been designed to demonstrate Mr. Scott’s power and influence, by having him appear to summon the interior secretary to his state and bring him to heel in an afternoon.” Scott announced his Senate candidacy on April 9, 2018. The next day, CNN reported the U.S. Office of Special Counsel is investigating whether Zinke’s Florida announcement violated the Hatch Act. 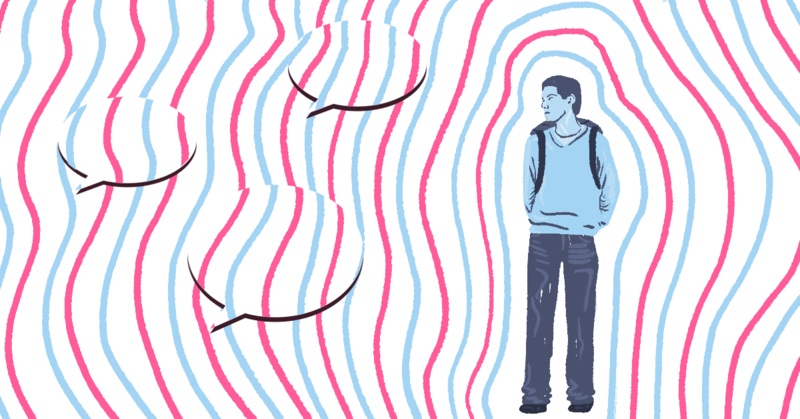 March 28, 2018, Talking Points Memo: Zinke’s mass reassignment of career Interior employees may have violated federal anti-discrimination laws. Last July, Zinke initiated the reassignment of 35 Senior Executive Service members at DOI, of which 27 were ultimately transferred. Many were told to “either accept a new placement on the other side of the country or in a role unrelated to their background, or leave the agency,” according to Talking Points Memo. The DOI’s inspector general concluded the reassignments occurred “without a written plan or clear criteria, and without consulting with the departmental leadership,” which created the perception that staff were reassigned for “political or punitive reasons.” Because a third of those reassigned are Native American, DOI may have violated federal anti-discrimination laws, as well as its own Indian Preference rules, as TPM later reported. Zinke has reportedly told senior staff that diversity is not important. After a congressional hearing in March, he was also accused of racial insensitivity for responding “Oh, konnichiwa” to Rep. Colleen Hanabusa (D-HI) after she shared the experience of two of her grandfathers who were held in internment camps during World War II. April 6, 2018, Reveal: National Park Service deletes climate change from months-delayed report on sea-level rise. “National Park Service officials have deleted every mention of humans’ role in causing climate change in drafts of a long-awaited report on sea level rise and storm surge,” according to an investigation conducted by The Center for Investigative Reporting and published on its Reveal website. DOI oversees the National Park Service. Cat Hawkins, the head of the National Park Service’s climate change response program, made the deletions, in possible violation of Interior rules prohibiting political appointees from influencing scientific and scholarly activities. The report was also delayed for 10 months, which hindered park managers’ ability to access the latest research about how to mitigate the effects of extreme weather and sea-level rise on their parks. Zinke told the House Committee on Natural Resources in March, “I didn’t change a paragraph — a comma — in any document and I never would.” DOI’s inspector general is investigating the matter. June 19, 2018, Politico: Zinke and the chairman of Halliburton could both benefit from a proposed real-estate deal in Montana. A foundation created by Zinke is helping to pave the way for a large commercial development that is backed by David Lesar, the chairman of energy-services giant Halliburton. According to Politico, the Great Northern Veterans Peace Park Foundation -- established by Zinke and currently run by his wife Lola -- agreed to allow 95 Karrow LLC, the Lesar-backed entity, to build a parking lot on land that had been donated to the foundation for creation of a park. The Zinkes also personally own land that's adjacent to the proposed development, potentially making that land much more valuable if the proposed development deal were to go through. The deal raises ethical concerns because Halliburton’s business could be substantially affected by decisions made by DOI. Zinke met with Lesar and the project’s other developers at Interior headquarters last year, Politico reported on June 21. Lesar and Zinke have had a relationship for years -- Lesar and his wife donated $10,400 to Zinke’s first House campaign in 2014. On June 18, DOI's deputy inspector general confirmed that her office had opened an investigation into whether Zinke violated conflict-of-interest laws. June 26, 2018, Reuters: Zinke’s promotion of Trump's campaign slogan may have violated the Hatch Act. During a meeting of the Western Governors Association on June 26, Zinke tweeted a photo of one of his socks, which was emblazoned with Trump’s face and his campaign slogan “Make America Great Again.” Zinke deleted that tweet and then posted a follow-up tweet that crossed out “Make America Great Again” yet still showed Trump’s face -- and then he deleted that one too. Those tweets may have violated the Hatch Act, which prohibits some forms of political activity by federal employees, Reuters reported. The U.S. Office of Special Counsel announced in March that because Trump has confirmed his candidacy for reelection, federal employees are prohibited while on duty from wearing or displaying items with the phrase “Make America Great Again” or non-official pictures of Trump. On July 9, CNN reported that the Office of Special Counsel opened a case file on whether Zinke’s tweet violated the Hatch Act. July 6, 2018, HuffPost: Former NRA lobbyist working for Zinke may have committed multiple ethics violations. Benjamin Cassidy, a former NRA lobbyist who joined the Interior Department in October 2017, may have violated ethics rules by attending at least two meetings with Zinke that involved issues Cassidy had recently lobbied on. Cassidy attended a February 2018 meeting on “international conservation,” a discussion that most likely focused on issues such as hunting and animal trophy imports. While still employed with the NRA in 2017, Cassidy lobbied Congress on legislation dealing with animal trophy imports. Cassidy, whose official title is senior deputy director for intergovernmental and external affairs, should have signed Trump’s ethics pledge that bars former lobbyists in the executive branch from participating for two years in any matters on which they lobbied in the two years before starting an administration job. Another potential ethics violation occurred in March, when Cassidy attended a pair of private receptions Interior held for members of the International Wildlife Conservation Council, which includes an NRA employee and a former NRA board member, HuffPost reported on July 16. Cassidy served as the council members’ primary contact during their visit to Washington, D.C., for the receptions. Although it is not clear if Cassidy played a role in selecting members of the council, member Cameron Hanes thanked Cassidy as well as Zinke for including him. Cassidy “appears to be in violation of the prohibition on working on matters on which you’ve lobbied,” an ethics expert told HuffPost. July 20, 2018, CNN: Zinke kept meetings off of public calendar. Zinke's publicly released schedule omitted or obscured the details of about a dozen meetings. CNN compared email conversations between Zinke and his scheduler (made available through FOIA requests) to the calendars that the Interior Department released and found numerous discrepancies between the two. Zinke had previously undisclosed meetings with lobbyists, lawmakers, and interest groups. For example, CNN found that in May 2017, a meeting listed on his schedule with Rep. Chris Collins (R-NY) also included three executives from Delaware North, a contractor who does business with national parks. Rep. Raul Grijalva (D-AZ), ranking member of the Natural Resources Committee, called for an investigation. In September, CNN followed up on this reporting and found that nearly 50 meetings in May and June 2018 were vaguely described, making it difficult for the public to determine what he was doing and who he was meeting with. And in October, CNN reported that his calendar omissions actually dated to his very first day in office, and that some of the newly discovered omissions included meetings with representatives from energy companies whose activities DOI regulates. July 23, 2018, Wash. Post: Zinke and aides rejected evidence that supported creation of national monuments and sought out evidence that didn't -- and then tried to conceal strategy from the public. Zinke’s team selectively tailored a review of national monuments last year to dismiss the benefits of monuments and emphasize the value of activities such as logging and energy development on public lands, according to thousands of pages of email correspondence inadvertently released by the Interior Department’s FOIA office. The DOI retracted the documents the next day and released redacted versions. In the first version, for instance, draft economic reports on monuments under scrutiny included information on the Interior Department’s “ability to estimate the value of energy and/or minerals forgone as a result of the designations,” but that information was redacted from the second batch of emails. In another instance, officials marked this statement about an Oregon national monument as eligible for redaction: “Previous timber sale planning and development in the [expansion area] can be immediately resumed.” The review came in response to an executive order from Trump last year that instructed Zinke to scrutinize 27 national monuments established over a period of 21 years. It led Trump to dramatically shrink two national monuments in Utah. October 16, 2018, The Hill: Zinke replaces DOI deputy inspector general with Republican political operative. The Hill reported that DOI Deputy Inspector General Mary Kendall was being replaced by Suzanne Israel Tufts, a political appointee at the Department of Housing and Urban Development (HUD) who had previously worked as a lawyer and liaison for the Trump campaign. Tufts will now be acting deputy inspector general. Kendall, who oversaw DOI’s watchdog investigations and audits team for 10 years, only learned that she was being replaced when a colleague showed her an email sent by HUD Secretary Ben Carson to his agency’s staffers. The move is seen as highly unusual, particularly as Zinke has been the subject of 14 government investigations into his conduct as secretary, including half a dozen that are ongoing. Michael Bromwich, a former inspector general for the DOJ, tweeted, “Politicizing the oversight function is dangerous, especially in the absence of any Congressional oversight. Changing IGs in the midst of multiple serious investigations of the agency's head should raise alarm bells everywhere.” And Rep. Raúl Grijalva (D-AZ), ranking member of the House Natural Resources Committee, stated, “This stinks to high heaven. Secretary Zinke and the Interior Department are awash in wave after wave of scandal and corruption, and they decide now is the perfect time to get rid of the current IG." 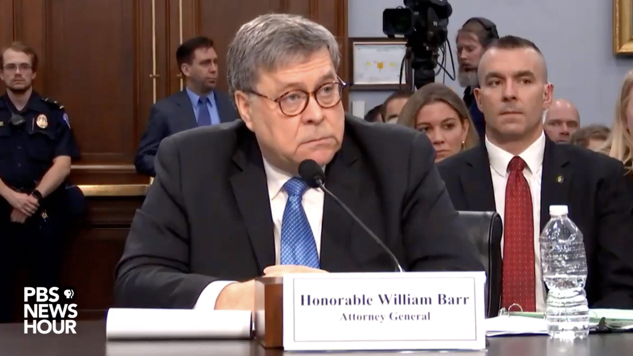 October 16, 2018, The Hill: DOI was reportedly poised to replace deputy inspector general with Republican political operative, then reversed course after outcry. The Hill reported on October 16 that DOI Deputy Inspector General Mary Kendall was being replaced by Suzanne Israel Tufts, a political appointee at the Department of Housing and Urban Development (HUD) who had previously worked as a lawyer and liaison for the Trump campaign. Tufts would become acting deputy inspector general, according to The Hill. Kendall has overseen DOI’s watchdog investigations and audits team for 10 years, and has been running investigations into a number of Zinke's questionable activities. She first learned that she was to be replaced when a colleague showed her an email sent by HUD Secretary Ben Carson to his agency’s staffers. The reported personnel shift prompted a public outcry. Rep. Raúl Grijalva (D-AZ), ranking member of the House Natural Resources Committee, said, “This stinks to high heaven. Secretary Zinke and the Interior Department are awash in wave after wave of scandal and corruption, and they decide now is the perfect time to get rid of the current IG." Two days later, on October 18, DOI told CBS that the shift was not happening and reports about it were "false." On October 19, CBS reported that Tufts resigned from her position at HUD. October 31, 2018, HuffPost: Zinke compared Robert E. Lee to Martin Luther King Jr. Speaking in Kentucky at a ceremony designating Camp Nelson as a new national monument to black Civil War soldiers, Zinke likened Confederate General Robert E. Lee to Martin Luther King Jr. Zinke referred to the placement of the Martin Luther King Jr. Memorial in Washington, D.C., which is near both the Lincoln Memorial and Arlington National Cemetery, the site of Lee’s former plantation. Zinke said, “I like to think that Lincoln doesn’t have his back to General Lee. He’s in front of him. There’s a difference. Similar to Martin Luther King doesn’t have his back to Lincoln. He’s in front of Lincoln as we march together to form a more perfect union. That’s a great story, and so is Camp Nelson.” Local Kentucky newspaper The Jessamine Journal posted the speech on Facebook. A year previously, in an interview with Breitbart, Zinke defended Confederate monuments and said none of them would be removed from federal land. November 5, 2018, Wash. Post: Zinke violated an ethics pledge by working on issues related to his family foundation's land holdings. 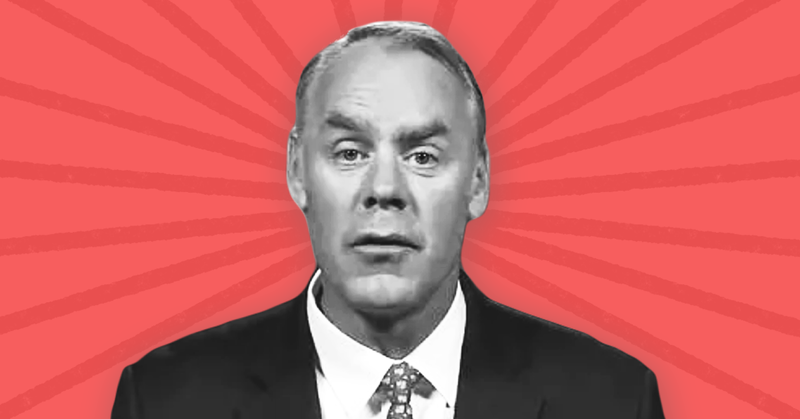 In January 2017, after he was nominated to be interior secretary, Zinke pledged to step down as president of a foundation he created, the Great Northern Veterans Peace Park Foundation, and refrain from matters pertaining to it for one year. But according to The Washington Post, in August 2017 Zinke exchanged emails with a city planner in Whitefish, MT, and told him he could construct a disc-golf course on the foundation’s land. In earlier messages in the same email exchange, Zinke criticized a Politico article that linked his foundation to a property deal with the chairman of Halliburton. Additionally, his foundation’s 2018 annual report still showed that Zinke continued to serve as a foundation officer, though he later said that was in error. This post was updated on 5/23/18 to incorporate additional news reports. Since Scott Pruitt took the helm of the Environmental Protection Agency in early 2017, the EPA has consistently refused to release basic information, blocked reporters from attending agency events, and attacked journalists and outlets whose coverage it didn't like. This antagonistic stance toward the media mirrors President Donald Trump’s unprecedented war against the press, which Media Matters has chronicled. Respond to inquiries in a meaningful and timely manner, arranging interviews with subject matter experts. Distribute all press releases and advisories, to all who request them, not just to a select audience. Hold open press briefings on significant news. Invite all regular beat reporters to in-person briefings held at EPA headquarters; provide web conferencing and teleconference access for all interested reporters outside the Washington area. Reinstate the practice of publishing a weekly list of the EPA administrator’s scheduled public appearances. Resume the practice of publishing an up-to-date calendar of all the EPA administrator’s meetings — not just public events. The EPA failed to respond to SEJ’s letter -- or to a follow-up inquiry -- so the group released the letter publicly in March. SEJ sent the EPA another letter on March 30 calling on the agency to “answer reporters' questions directly, rather than referring them to published articles by their favored media," as summarized on the SEJ website. 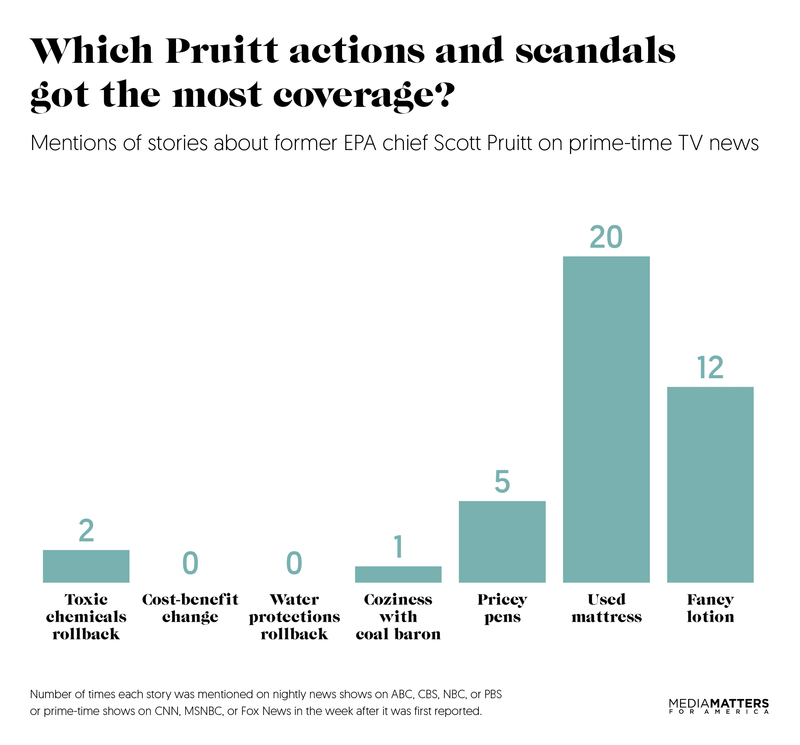 Here are more than 20 examples of Pruitt's EPA assailing the press or frustrating journalists' efforts to cover the agency's actions. EPA withholds Pruitt’s schedule from the press. Former EPA Administrator Gina McCarthy, who headed the agency under President Barack Obama from 2013 to early 2017, shared her schedule on the EPA website every day, but Pruitt, like many other members of Trump's cabinet, withholds basic information about his activities. According to Politico, the EPA has refused “to provide schedules or advisories of his upcoming meetings, confirm his attendance at specific events, or say what city he plans to be in on a given day." As a result, news outlets and watchdog groups have filed multiple Freedom of Information Act (FOIA) requests and lawsuits to obtain his calendars. When the EPA has eventually responded and released information about Pruitt's schedule, it has generally been bare-bones, partially redacted, or months late. EPA spokesperson: “Pruitt does not want open press." 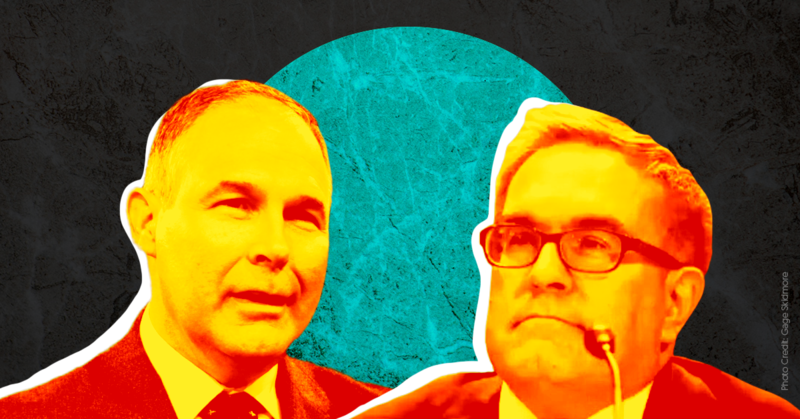 While coordinating logistics for a roundtable discussion Pruitt held at the University of North Dakota with the state's senior senator, John Hoeven (R), and governor, Doug Burgum (R), EPA spokesperson Jahan Wilcox asked that reporters not be permitted to attend, E&E News reported. Hoeven had wanted to include media, but Wilcox wrote to Burgum’s staffers that “most importantly Pruitt does not want open press." After being informed that reporters had already been invited to the last 15 minutes of the event, Wilcox insisted, “We can't have anything open." EPA spokesperson called police on North Dakota reporters trying to cover Pruitt event. EPA spokesperson Wilcox threatened to call the police on two reporters from the Grand Forks Herald who were attempting to cover Pruitt’s August 9 visit to the University of North Dakota. The Herald reported that after Wilcox made his threat, “A UND Police officer then arrived to insist the building and its grounds were private property before demanding the reporters move away from the center's front door. … The EERC is not private property and is owned by UND." EPA asked radio host not to take listener calls during interview with Pruitt. During his August 9 visit to North Dakota, Pruitt sat for a joint interview with Gov. Burgum, conducted by local talk radio host Scott Hennen. Hennen normally takes listener calls during his show, but documents obtained by E&E News show that EPA spokesperson Wilcox asked him not to during the Pruitt interview, and Hennen acquiesced. EPA terminated funding for a nonprofit newspaper after it reported that Trump's budget cuts would hurt the Chesapeake Bay. The Bay Journal, a nonprofit newspaper that covers environmental issues in the Chesapeake Bay region and reaches approximately 100,000 readers, has been partially funded by the EPA since 1991. Last June, the paper reported that Trump's proposed budget would slash funding for Chesapeake Bay programs and harm restoration efforts. In August, the EPA abruptly canceled a previously approved $325,000 grant to the paper due to a “shift in priorities." The Bay Journal requested records pertaining to the termination, which EPA failed to produce, so the paper sued. Under pressure from Maryland's Democratic senators, the EPA restored the Bay Journal’s funding in March. EPA attacked NY Times reporters in press release over pesticide story. On August 18, The New York Times published a story detailing how the EPA disregarded the advice of agency scientists by refusing to ban a harmful pesticide after Pruitt met with farming industry executives and told them he was listening to their pleas. Three days later, the EPA issued a press release attacking the story and accusing the reporters, Eric Lipton and Roni Caryn Rabin, of reporting "false facts" and omitting "inconvenient facts." Though the EPA did not dispute any of the story’s specific factual claims, the press release also stated that "the New York Times never lets the truth get in the way of a good story." EPA attacked AP reporter in press release over toxic-site story. On September 2, The Associated Press published a story on toxic sites flooding in the wake of Hurricane Harvey, which Washington Post media critic Eric Wemple later declared to be "factually sound." But the EPA issued a press release criticizing the story and attacking the credibility of the AP and Michael Biesecker, one of the reporters who wrote it. "Unfortunately, the Associated Press’ Michael Biesecker has a history of not letting the facts get in the way of his story," the agency’s release read. The press release also included a statement from EPA spokesperson Liz Bowman that accused the AP of attempting to “mislead Americans” by “cherry-picking facts.” To bolster its attack on Biesecker and the AP, the release cited a Breitbart News article. EPA warned employees against leaking to the press. The EPA required employees to attend training sessions that warned them of the dangers of leaking sensitive information to the media, The Associated Press reported. During the mandatory training, employees were given a fact sheet that detailed how leaks have harmed America in the past and warned, "Enemies of the United States are relentless in their pursuit of information which they can exploit to harm US interests." EPA accused NY Times reporter of being “biased” and “writing elitist click bait.” When Times reporter Lipton sent detailed questions to the EPA about the agency loosening regulations on toxic chemicals, EPA spokesperson Bowman refused to answer his queries. Instead, she sent a caustic comment by email: “No matter how much information we give you, you would never write a fair piece. 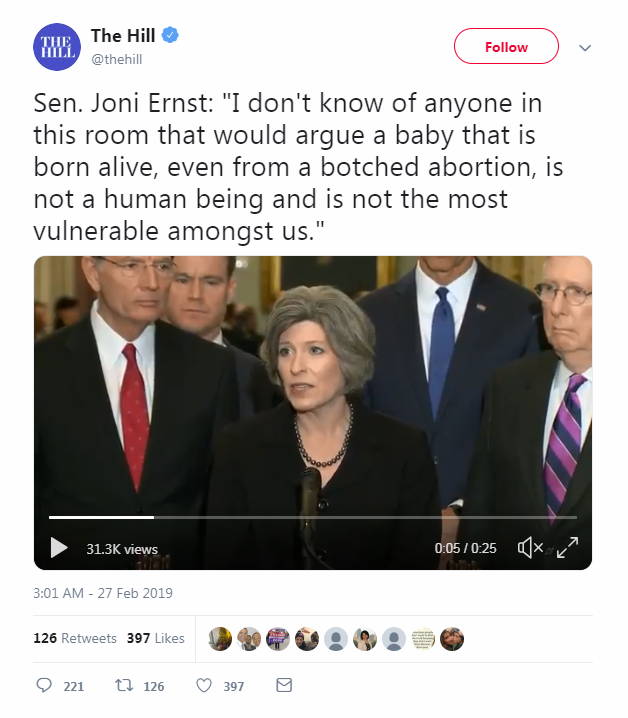 The only thing inappropriate and biased is your continued fixation on writing elitist click bait trying to attack qualified professionals committed to serving their country.” Lipton quoted her comment in his article. EPA had police remove reporter from Pruitt event in Iowa. 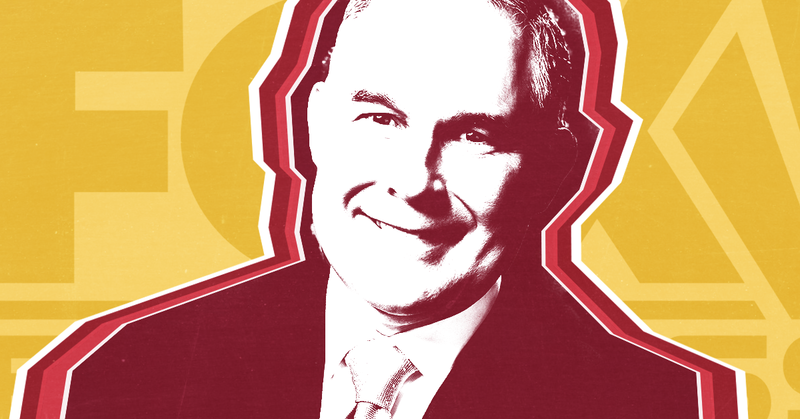 Ethan Stoetzer, a journalist with InsideSources Iowa, never received a response after trying repeatedly to contact the EPA to RSVP for a December 1 event where Pruitt would be speaking at a cattle company headquarters in Iowa. The event was invite-only, but media were permitted to attend. According to his reporting, Stoetzer showed up to the event site and was initially allowed to enter the press booth. But then he “was approached by a Story County Sheriff’s Deputy, as well as several staff members of both the EPA and Couser Cattle Company, who did not give their names when asked, and was told that he had to leave the premises.” He reported that other members of the media who had not RSVP’d were allowed to remain at the event. EPA spokesperson Wilcox did not reply to repeated questions about why Stoetzer was forced off the premises. EPA hired Republican opposition-research firm to conduct "war room"-style media monitoring. The EPA awarded a no-bid contract worth $120,000 to an opposition-research firm, Definers Corp, that not only has deep connections to the Republican establishment, but is also tied to a research group that had been “looking for information that could undermine employees who had criticized the E.P.A.,” as The New York Times reported. Under the contract, Definers would provide the EPA with “‘war room’-style media monitoring, analysis, and advice," Mother Jones reported. The controversial contract was rescinded after media reports led to political outcry. EPA misled press about Pruitt's travel, then stonewalled. After journalists reported in February 2018 on Pruitt’s exorbitant travel expenses, EPA Node Menu spokesperson Wilcox initially told Politico that Pruitt had received a blanket waiver to travel first or business class. But a spokesperson for the General Services Administration, which oversees rules about officials' travel, told Politico that it does not issue blanket waivers. Wilcox then changed his story and said that Pruitt submits a request for a waiver for each trip. Refusing to answer further questions about Pruitt’s travel, Wilcox directed reporters to use FOIA to request additional information, "a process that can take months or years," Politico noted. EPA to reporters: You'll have to wait a year for responses to your FOIA requests. The EPA has been slow in responding to FOIA requests about Pruitt's office from media organizations and other groups, according to an analysis by the Project on Government Oversight. The agency had closed only about 17 percent of records requests related to Pruitt’s activities as of February, Politico reported. This aligns with the anecdotal stories of journalists who, when not ignored by the EPA, were informed that it would take a year to receive responses to their records requests. CNBC reported in February on a lawsuit filed against EPA alleging the agency "has systematically refused to document 'essential activities' under Pruitt, and higher-ups are creating a culture in which career employees are discouraged from creating written records." Pruitt has used multiple email addresses, which could hamper fulfillment of FOIA requests by media outlets and others. After learning that Pruitt uses three secret EPA email addresses in addition to his official email address, Sens. Jeff Merkley (D-OR) and Tom Carper (D-DE) asked the EPA’s inspector general on April 10 to investigate if Pruitt “may be withholding information from the public in violation of valid FOIA requests.” On May 2, the inspector general said his office plans to open an investigation into whether the EPA is violating the Federal Records Act. EPA press office engaged in “questionable activities” that may have violated federal rules, Sierra Club alleged in a lawsuit. Via a Twitter thread posted on April 20, Sierra Club attorney Elena Saxonhouse announced that her group had sued the EPA for failing to provide public records related to the activities of the agency’s Office of Public Affairs. Saxonhouse alleged that the office had engaged in a number of “questionable activities,” which included “creating a right-wing media echo chamber for Pruitt,” “contracting with a firm whose stated goal is to take down Democrats,” and reportedly working to secretly place anti-Paris climate accord op-eds in newspapers, among other things. Sierra Club requested the records to determine if these actions violated rules barring the use of agency money for "self-aggrandizement," "purely partisan" communications, and "covert propaganda." The EPA was recently forced to turn over more than 24,000 pages of documents to the Sierra Club after losing a previous FOIA lawsuit to the organization. Pruitt aides have slowed FOIA releases so they can increase vetting of records requests related to his actions. “Top aides to Scott Pruitt at the Environmental Protection Agency are screening public records requests related to the embattled administrator, slowing the flow of information released under the Freedom of Information Act — at times beyond what the law allows,” Politico reported on May 6. Based on internal emails obtained by the outlet, the EPA’s political appointees also reprimanded career officials who released public records without letting Pruitt’s aides screen them first. Although other administrations have also requested that political aides be allowed to screen certain releases before they are made public, a FOIA expert quoted by Politico said, “This does look like the most burdensome review process that I've seen documented." EPA blocked AP, CNN, E&E News, and Politico from attending a summit on water contaminants and had an AP reporter physically removed from the building. “The Environmental Protection Agency temporarily barred journalists and the public from a national summit Tuesday addressing toxic chemicals contamination in drinking water, a week after top agency officials' effort to delay publication of a study on those chemicals came to light,” Politico reported on May 22. When an AP reporter asked to speak with public affairs personnel to learn why the outlet was barred from the event, “the security guards grabbed the reporter by the shoulders and shoved her forcibly out of the EPA building,” AP reported. Although the EPA relented after news of the incident spread and allowed the press to cover the second half of the event on May 22, the agency still blocked reporters from covering the subsequent day of the summit on May 23.